Even with the conviction, Lula cannot be jailed until at least April 4th when Brazil's Supreme Court rules on his habeas corpus request. 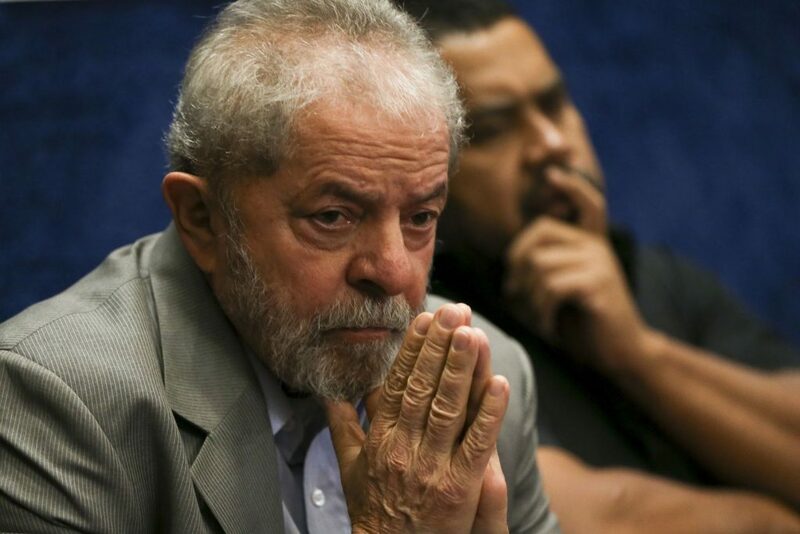 RIO DE JANEIRO, BRAZIL – A Brazilian court rejected former president Luiz Inacio Lula da Silva’s appeal on Monday, upholding the twelve years and a month conviction determined in January. The former leader, however, cannot be jailed until April 4th due to an injunction set forth by the country’s Supreme Court last week. “The defense will await the publication of the judgment to decide what appeal will be filed to challenge the illegal sentence imposed on former President Lula by the Eighth Panel of the Regional Court of the 4th Region on January 24th,” stated one of Lula’s lawyers, Cristiano Zanin, after Monday’s hearing. Last week Supreme Court Justices granted Lula an injunction from being jailed until they are able to rule on whether or not to accept the former leader’s habeas corpus request. Due to the upcoming Easter festivities, the Upper Court scheduled the ruling for April 4th. Meanwhile, the former president continues to travel throughout Brazil, still hoping to run for re-election. “They (country’s elite) hope I will be arrested, thinking that they will shut me up,” said Lula during a rally in the state of Santa Catarina over the weekend. “What they do not know is that Lula is millions and millions of workers, they want to arrest me to stop me from walking in this country; they are fools, for I will walk by the legs of the people,” he told a cheering crowd. According to political analysts, even if the habeas corpus preventing Lula from being jailed is granted, the former leader would still be ineligible to run in the October Presidential race, since under the “Lei da Ficha Limpa” (Clean Slate Law) those convicted are prohibited from running for public office. The former President was convicted to nine-and-a-half years in July of 2017 for corruption and money laundering. During his first appeal hearing in January 2018, the court decided to increased his jail term to twelve years and a month.